In-App messages are messages displayed inside your app. You can trigger them when users open your app or as contextual reminders when they perform a specific action (e.g. tapping a button, browsing a page, etc). You can also trigger an In-App message after your users open a push notification, as a mobile landing page. This is great to communicate with all your users, even with users who have turned off push notifications. Boost your push opt-in rate, by triggering a message on a meaningful action and explaining why your users should turn on push notifications. 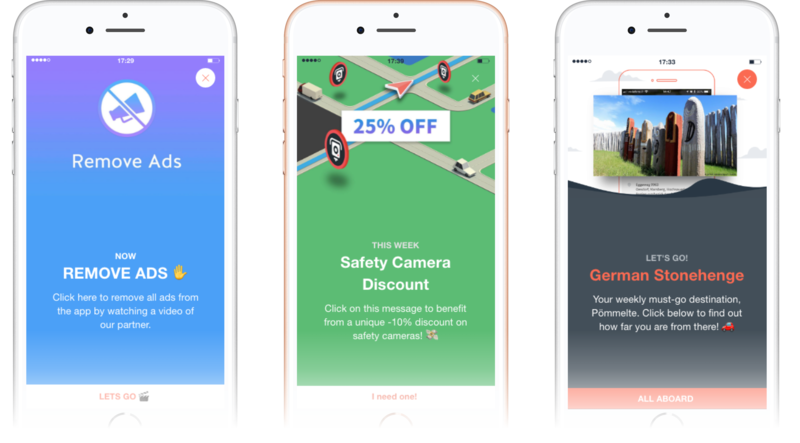 Increase conversion, by onboarding new users with special offers, recommending additional content to engaged users or reminding users they left items in their cart. Optimise retention, by presenting key features of your app, app updates, and more. Or simply communicate with all your users (e.g. scheduled maintenance, beta testing program, etc). We have been working on native formats that bring the same experience to all your users regardless of the OS they are using. Mobile Landings: The In-App message is displayed as a landing page when users open your push notification. Here's how to add them to a push campaign. 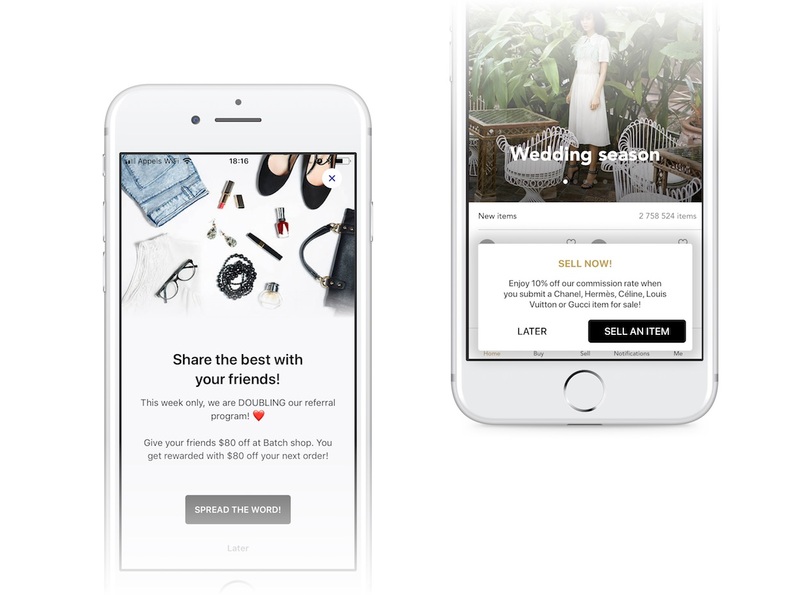 In-App campaigns: The In-App message is displayed when users open your app or when they make a specific action in your app. The message can be displayed to users who are not opt-in for push notifications. This useful to communicate with your entire userbase or suggest actions when your users browse your app. Use it to force your user to see an important messages, such as an update reminder, a last minute offer or anything that deserve to interrupt the navigation. Fullscreen In-App messages are also useful for detailed announcement as they can contain more text and a picture. Banners are useful to suggest actions while your users are browsing the app and avoid bothering them when they are making important actions. Use them to promote features of your app, suggest interesting content or additional items (e.g. premium delivery, related articles, etc). These two formats are highly customisable. You can tailor the overall layout of the In-App message, colors, image and button from Settings > Themes. - In-App messaging is only available on paid plans. In-App campaigns are available for Business and Enterprise plans.